No other club has managed to retain the Champions League let alone win it thrice on the bounce! In that regard what Real Madrid achieved under Zinedine Zidane was astonishing even for Madrid’s standards. In the beginning of the season if you said to anybody that Madrid would go on a 4 match winless run at home before losing 5-1 to arch rivals Barcelona in the league no one would have agreed with you. 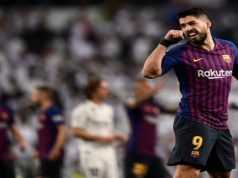 Unfortunately that is how Julen Lopetegui’s spell as a Real Madrid manager came to an end with a heavy defeat to Barcelona. Highs and lows are a part of life, and unfortunately, of football too. But it is inconceivable that a club of Real Madrid’s stature shall remain in the hapless position they find themselves in. Football is ruled by uncertainty and therefore fans must take advantage of this fact and make the most of every betting offer that comes their way, including the free betting no deposit offers provided by several reputed online bookmakers. Odds are slashed at 12/1 for a win for in form Valladolid who are unbeaten in five. Bookmakers have priced Real Madrid at 1/6 for a win and the draw is going at 13/2. These sorts of long odds do make betting far riskier to bet on the expected loser. This is obvious because sports betting is based on knowledge of the game and of the odds of each team winning so the payouts for, say, correctly betting that Real Madrid are going to be triumphant against a lesser known team with odds of 2/1, will be much smaller than betting on Real Madrid against a real challenger like Barcelona and their odds of 5/1. The higher the risk, the greater the pay, which is why making use of free bets is such a lucrative option. 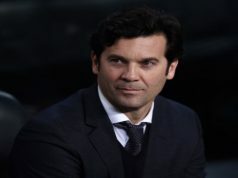 Florentino Perez handed over the reign to Santiago Solari who made his debut against Melilla in the Copa del Rey. In this article we shall analyze the tactical tweaks he made that were indeed very effective. Decision to hand a start to Vinicius Jr.
A player who himself likens his playing style to Neymar certainly does not need any confidence boost from the manager. It shows from the way he plays that this kid knows no fear. The Brazillian however could manage only 12 first team minutes under ex-manager Lopetegui and was played for Castilla. But Solari decided that Copa del Rey was the appropriate platform for his integration in the team. The decision paid off as Vinicius asserted his dominance on the pitch with attack after attack from the wide areas. Florentino Perez sees Asensio as the heir to Cristiano Ronaldo. That might be asking too much of the youngster. Nevertheless there is no doubt about his ability and potential to become world-class. He has mostly been used in wide areas by his previous managers. But Solari allowed him to occupy the central areas behind Benzema. It is widely known that Asensio has got a wand of a left foot when it comes to striking the ball from distance. Benzema was constantly stretching defences and this allowed Asensio to get into shooting positions outside the box. After Zidane left, the club found itself devoid of a proper transfer strategy. Therefore the main outfield signing was that of the young right-back Odriozola. However the defender has found it difficult to get first-team minutes mostly because Dani Carvajal, who is far more experienced, is doing such an excellent job. Again it was clever management from Solari to bring in Odriozola in place of Carvajal. He played excellently in the attacking spaces. He assisted one for Benzema and then scored one himself in the second half. Quite impressive for a right-back, eh?